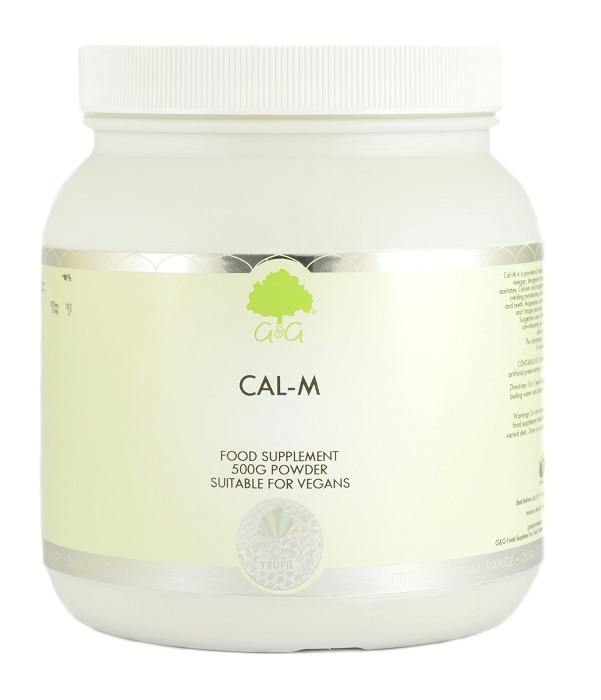 Cal-M is our unique take on cal-mag, a powdered blend of calcium, magnesium and organic cider vinegar. Cal-M is designed to deliver these important minerals as acetates, making them more readily absorbed by the body. Calcium and magnesium work in harmony in the human body, at a ratio we have mirrored in our unique Cal-M calmag supplement formula. We use custom spray-dried cider vinegar, which creates mineral acetates, thereby helping the body assimilate them faster. In addition, Cal-M also provides traces of potassium, phosphorous, zinc and iron. Premixed and dried, Cal-M provides the perfect mix of calcium and magnesium, all you have to do is add water. The advantage of this unique calmag formula is the speed of assimilation and the ease of preparation. Our Cal-M calmag supplement comes in powder from. This enables us to offer a supplement that does not require any unnecessary chemicals, excipients or unnatural fillers. Our Cal-M is nothing but our pure calmag formula. Our Cal-M powder is suitable for vegetarians and vegans. It is also approved kosher and does not contain any allergens. Calcium gluconate, magnesium carbonate and dried cider vinegar, once mixed providing the mineral acetates. Stir 3-5 level teaspoons (10g) in half a cup of boiling water until dissolved. Add water, juice, smoothies or herbal tea to taste. Do not exceed the stated recommended dose. Store in a dry place, out of the reach and sight of young children. Although I do prefer the taste of Cal-Mag drink made up fresh, the Cal-M powder still gets 5 stars because it's so convenient and there is absolutely no guesswork about the quantities -- it's made up with the proportions perfectly balanced already. The taste is very neutral in any case. It's a good way to get calcium because the magnesium helps with the calcium being actually used properly by the body. I take Vit D and Vit K with it so that the minerals get correctly absorbed for bone strength. Also helps with getting to sleep and staying asleep! I take it with me on trips abroad.